Before talking about the cotton that is grown in color, it is worth remembering a little history of cotton in Brazil. When Portuguese explorers arrived in the country, there was existed a wild species of cotton here. Yes, cotton was already spun and woven by Indians and used primarily to manufacture hammocks, some clothing and torches. It was only with the colonization that the textile production was expanded, particularly by the introduction of cotton brought by the Portuguese from the East. In the early nineteenth century, during the Industrial Revolution, England became the greatest power in the production of cotton fabrics. This was made possible by the mechanization of production and the consequent increase in productivity, the cotton industry was encouraged in the Americas and thus Brazil has become, via Portugal, a major cotton exporter. But Brazil actually gained relevance in exports because of the Civil War in the United States (1861-1865). With the animosity between the northern and southern states, export rates in the US fell. Since there was demand, Brazil began to export more. 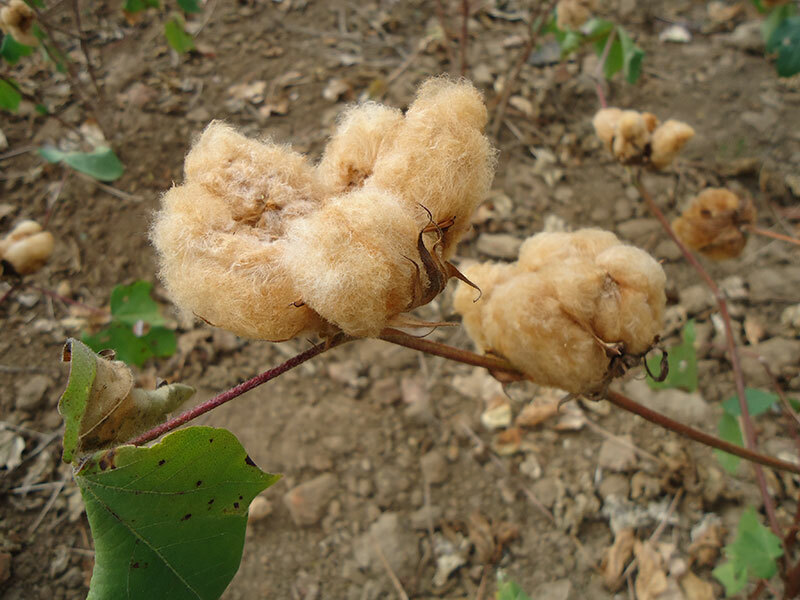 The color cotton was already available as a species, but the short and wick fiber had no potential for industrialization. In 1989 Embrapa Cotton, a branch of the Brazilian Agricultural Research Corporation, went on to study ways to improve the fiber. Embrapa combined the colorful species to arrive at a product that has adequate strength and length of the fiber to the industrial process. The result was the resumption of cotton production in semi-arid regions in the Northeast, which had disappeared after the boll weevil, a pest that destroyed the plantations. Currently, the color fiber has market value of 30 to 50% higher than the normal white cotton fiber. If the color cotton is certified organic, its market value is over 80% higher than the plain white cotton, thanks to this differential that generates added value. 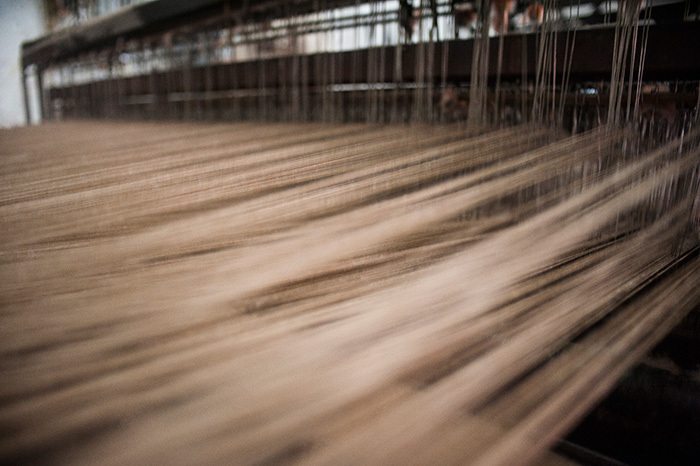 The color cotton developed by Embrapa is considered environmentally friendly because it eliminates the dyeing process, one of the textile industry pollutants, thus using 87.5% less water during processing. (Source: Embrapa). The technological edge of Embrapa Cotton and the genetic enhancement resulted in the recognition of the state of as producer of cotton by the National Institute of Industrial Property (INPI) in 2012 which granted Paraíba the Geographical Indication label (IG). The color cotton developed by EMBRAPA consumes 87.5% less water compared to a plain dyed cotton fabric production. Photo: Charlotte Joly. The clothes made of cotton are always recommended for people who have allergies to synthetic fabrics. The color cotton made clothes can also be used by people allergic to dyes, since their color is natural, the fiber is grown already in color. In times of environmental crises, color cotton creates less impact because it can be grown in drier regions. Embrapa conducted research until a plant suitable for industrial processes. Photo: Paulo Rossi. Source: Tecidos: Histórias, Tramas, Tipos e Usos. Dinah Bueno Pezzolo, Editora Senac, 2ª edição.